Earlier this year, I took this photo on a lunchtime walk at work. I found it odd that there would be three old-style phone booths in the middle of a field as if to summon an American version of Doctor Who. It looked like some kind of portal. Except with no telephones inside. Recently, an episode of This American Life chronicled families flocking to a phone booth in Japan in attempt to contact lost loved ones from the 2011 tsunami. Clearly, phone booths carry some kind of magic. This summer, with the advent of Pokemon Go (yes I am that kind of nerd), I learned that these phone booths were part of the Verizon Training Center. 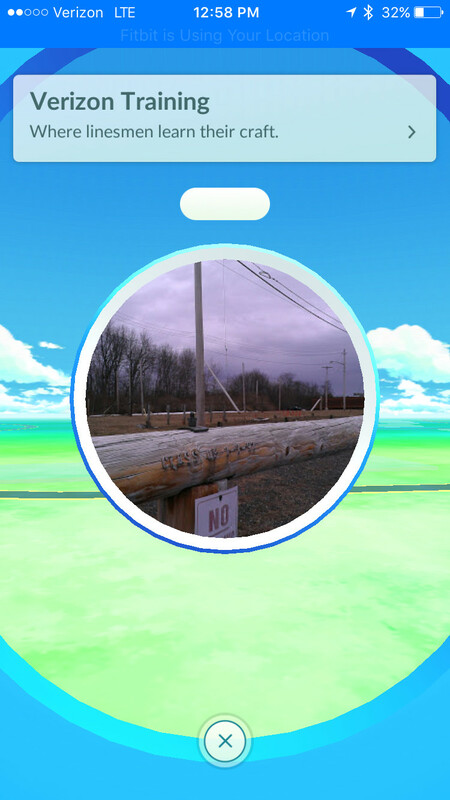 According to the Pokestop description, it's where linesmen learn their craft. 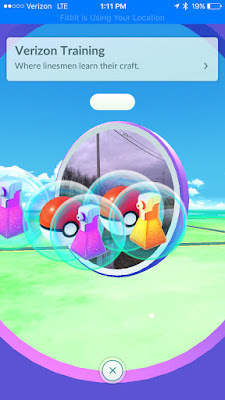 Wow, great spin from the Pokestop! Aha, that's why there are so many telephone poles that seemingly go nowhere! Around the back of the training building, you can see a dummy house to practice wiring to. There are short poles to practice on the ground before moving up to the tall ones. And once I even got to see training on one of the tall poles. So cool to learn about the Verizon Training Center from a Pokestop and explore it! (Okay, so maybe this is one of those "dangerous" areas that the game warns not to enter, but I hardly ever see workers outside and stayed clear of the cherry picker!). Cool images, Pokemon Go change the peoples thinking, real time game famous all over the world runs by ban in many countries, still people love to play this game.